So how to you choose? How do you create your Medicare Supplement Comparison? Living in California makes your choices a little easier because we have the Birthday Rule. 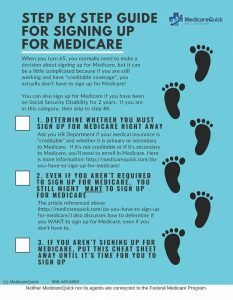 The birthday rule basically says that if you live in California, and you have a Medicare Supplement plan, then you can change to a like plan, or one with lesser benefits, within 30 days of your birthday, and you cannot be turned down because of your Medical Conditions. Outside if California it is much more important to look at the customer service and strength of the company because you might be stuck in the plan for the rest of your life if you have health problems. Part A Coinsurance and hospital Costs Medicare Supplement Comparison: Plans A, B, C, D, F, G, K, L, M, and N: Cover Part A Coinsurance and hospital costs up to an additional 365 (lifetime reserve) days after Medicare benefits are used up. Once lifetime reserve days are gone, they are gone forever. Part B Coinsurance Medicare Supplement Comparison: Plans A,B, C, D, F, G, and M cover the Medicare Part B Coinsurance or copayment. Plan K covers 50% of this, Plan L covers 75% of this, and Plan N covers it except for a copayment of up to $20 for some other office visits and up to $50 for emergency room visits (waived if you are admitted to the hospital). Blood Pints Medicare Supplement Comparison: Plans A, B, C, D, F, G, M, and N pay for the first 3 pints of blood. Plans K cover 50%, Plan L covers 75% of the first 3 pints. Hospice Care Medicare Supplement Comparison: Plans A, B,C, D, F, G, M, and N cover Part A Hospice care coinsurance or copayments. Plan K covers 50%, and Plan L covers 75%. Skilled Nursing Facility Medicare Supplement Comparison: Plans C, D, F, G, M, and N cover the Skilled Nursing Facility Care Coinsurance. Plan K covers 50% and Plan L covers 75%. Part A Deductible Medicare Supplement Comparison: Plans B, C, D, F, G, and N cover the Part A deductible. Plan K covers 50%, Plan L covers 75% and Plan M covers 50% of the deductible. Excess Doctor Charges Medicare Supplement Comparison: Plans C and F cover the Part B deductible, and Plans F and G Cover Part B excess doctor charges. Foreign Travel Emergencies Medicare Supplement Comparison: Plans C, D, F, G, M, and N Cover 80% of the costs of Foreign Travel emergencies up to the plan limits. If you have Plan K, which covers 50% of most charges, (except Part B deductible, excess charges, and foreign travel) then our out of pocket limit in 2015 is $4940. Plan F is the most comprehensive. It covers all charges, including excess doctors’ fees. However, if you don’t have it yet, you might not be able to get it in a few years as there is legislation pending that will take Plan F away as a choice to new beneficiaries, starting in 2018. Companies’ charges for the same plan can vary greatly. For a woman turning 65 I’ve seen rates from $135 per month all the way to $254.59 per month for the exact same coverage! One difference for your Medicare Supplement comparison is Silver Sneakers. Some companies offer it as an add-on for free to their clients. This can save you money on gym memberships, so keep that in mind as well.